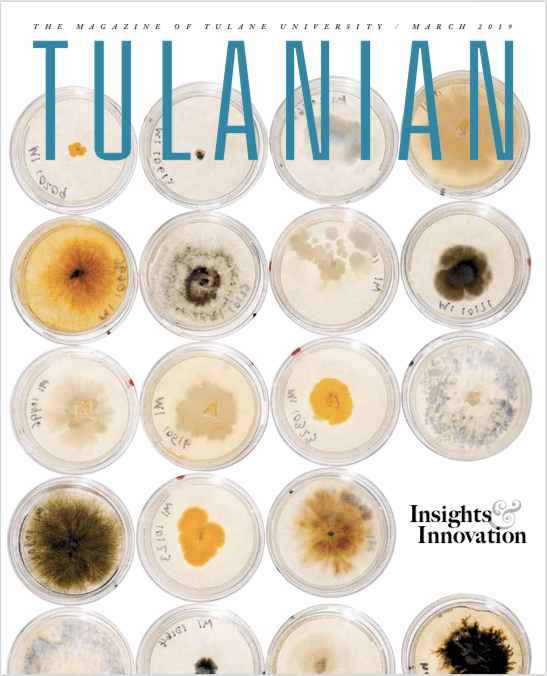 This month our mangrove endophyte cultures made the Tulanian magazine cover…these cultures were plated by me in the frantic moments before I left for Japan – and here they appear with all of their endophyte glamour… Read on through the pdf to get updates about research happening in Tulane EEB to understand coastal issues in Louisiana and around the Gulf of Mexico. Click on the link below to see the whole issue (also there’s a classic Liz photo in there! ).